Join us for one or all four of our upcoming painting parties! 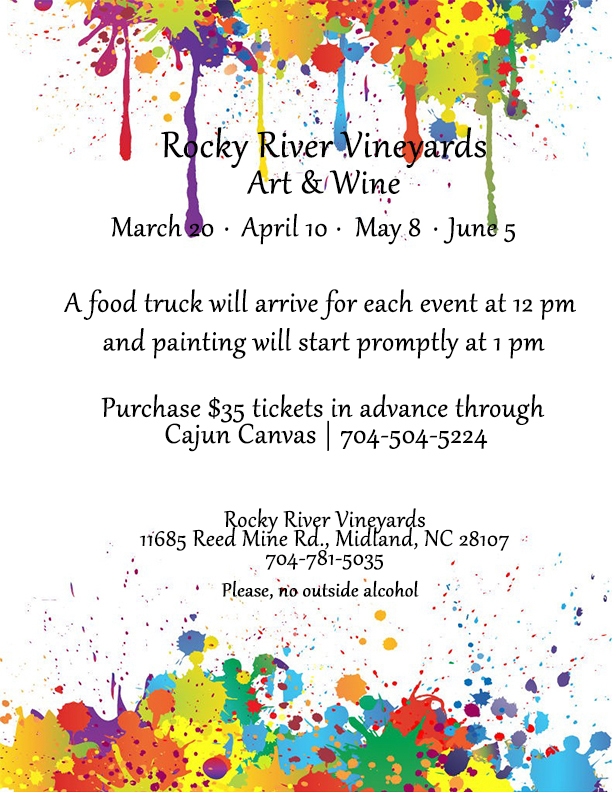 Each event will have a food truck arriving one hour before the painting class begins. To purchase your tickets, visit www.cajuncanvas.com or call them at 704-504-5224! The classes will be held under the pavilion with a bartender out there serving all your favorite Rocky River wines!